If you missed #23 click here. Best Moment: When you finish the levels, you get very funny outro videos showing you what happens after you leave, they're awesome and hilarious! Here's another game I played live on YouTube only a couple of months ago, you can watch that stream here if you're interested. Spyro 2 was actually called Ripto's Rage in the US. As I stated many times in my broadcast live, I never did properly play Spyro 2 until recently. I played the first and third ones many times but not the second. I have no idea why either, it just never happened! Now that I finally beat the game live on YouTube recently I can say that I do think Spyro 2 is very very good, but for me it's the weakest Spyro game in the PS1 series. 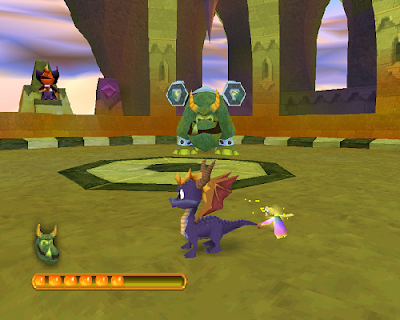 What I do love about Spyro 2 is the fact that they started to put the structures in place that made Spyro 3 so great - things like unlocking the abilities, helping people directly in each individual world, minigames in some of the worlds and putting in characters like Moneybags and Hunter. 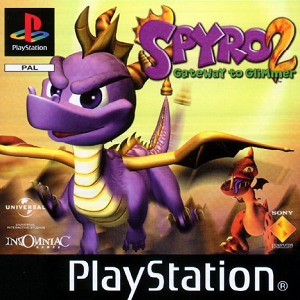 I should say that Spyro 2 is probably a better game than Spyro 1 overall, but I do have a strong place in my heart for Spyro 1, because it was the first one I played and I love some of the worlds a lot in that game, as well as saving the dragons in the first place. Looking for #21 in my list? Click here!